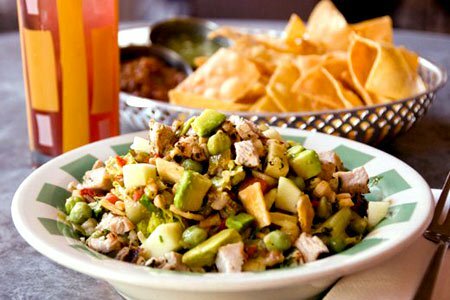 Many restaurants in LA will be offering special menus for Valentine’s Day, but we’ve rounded up the best of the best. 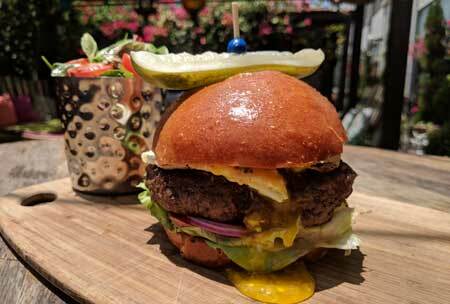 Celebrate with your sweetie at one of GAYOT’s Best Valentine’s Day Restaurants in Los Angeles. 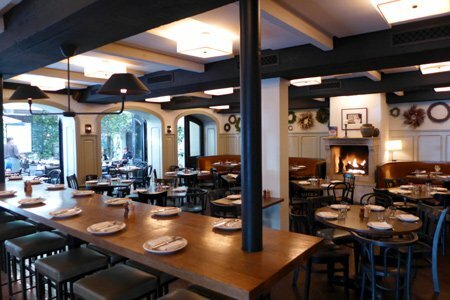 Enjoy a special four-course Valentine’s Day menu ($115, optional wine pairing $40) at a.o.c., which not only offers a bar and main dining room but also a smaller and cozier upstairs area and a desirable patio. 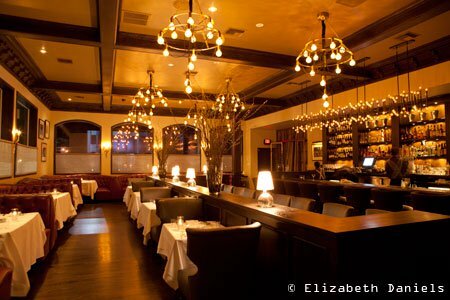 Avec Nous , the modern French bistro at Viceroy L’Ermitage Beverly Hills, features low lighting, elegant but comfortable seating and a fireplace. Lobster raviolo with Armagnac cream, chili chive espuma and black truffle caviar, and braised short rib are just a couple of the temptations on the five-course Valentine’s Day menu ($95, with wine pairings $125). Sparkling cocktails enhance the Valentine’s Day experience at Barbette in West Hollywood – sip on the Kir Royale (house-made kir, Champagne, crème de cassis) or the French 76 (gin, thyme, kumquat, Champagne, lemon). Complement the drinks with a holiday special, such as scallop crudo or spiced duck (pricing is à la carte) or craft your meal from the restaurant’s regular menu. 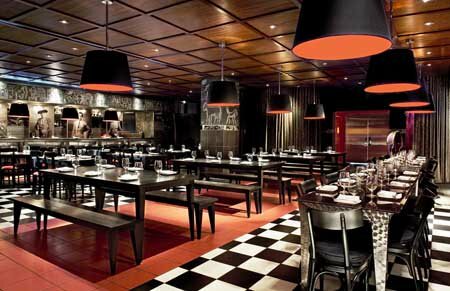 The Bazaar by José Andrés at SLS Hotel Beverly Hills will offer a 12-course tasting menu ($150 per person) on Valentine’s Day. 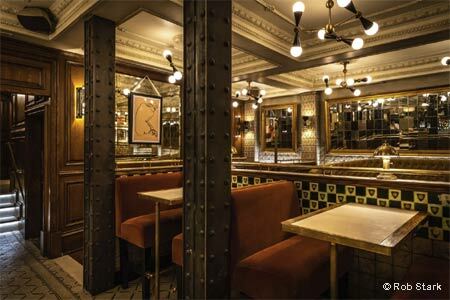 Expect to enjoy caviar, jamón, oysters and more. 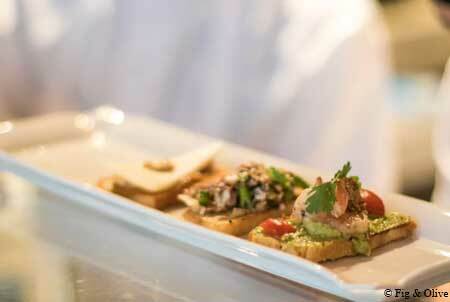 Sommelier wine pairings will be available to enhance the experience: premium for $100 and reserve for $150. 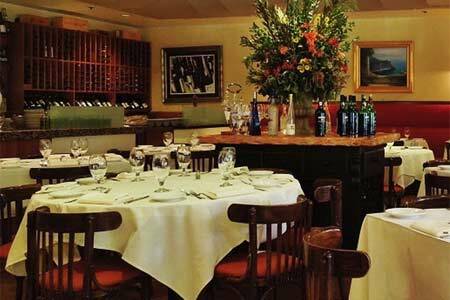 This elegant dining room at the foot of Rodeo Drive will present a five-course tasting menu ($135++ per person) on Valentine’s Day. A Lover’s Mille-Feuille with Valrhona chocolate ganache, vanilla bean cream and red velvet shortbread can cap off a meal that might also include slow-braised Kobe Prime rib cap. 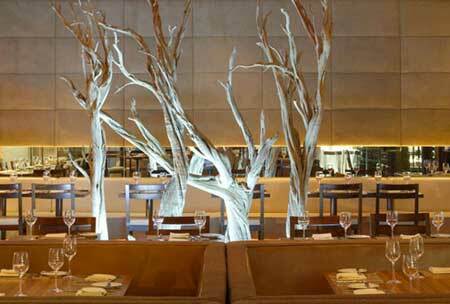 Steak is in the spotlight on Valentine’s Day at BOA in Santa Monica. The three-course prix-fixe menu will highlight a 40-day dry-aged porterhouse ($90) and a 21-day dry-aged tomahawk rib-eye ($145). Caesar salad, vegetables and a chocolate fondant dessert complement the beef. Chipotle-glazed hamachi collar, adobo steak rib-eye, and chocolate cherry Barcelona cake are a few of the temptations on the four-course Valentine’s Day menu ($49 per person) at Border Grill in DTLA. 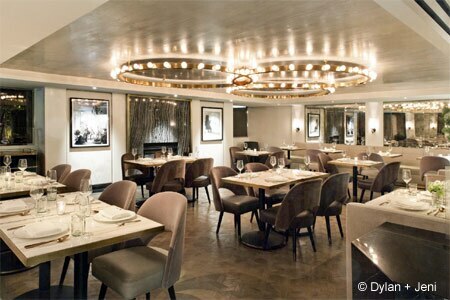 Guests can also dine on à la carte specials or enjoy the regular menu. This posh steakhouse from chef Michael Mina at The Americana at Brand will offer a special Valentine’s Day menu ($98 per person, optional wine pairing $45) with dishes like Mina’s ahi tuna tartare, braised lamb shank and chocolate mousse. 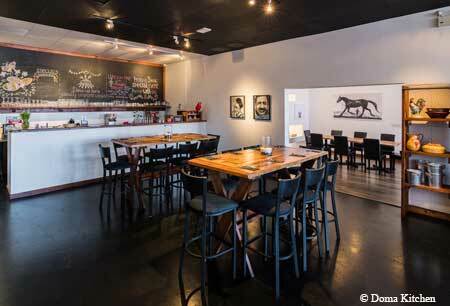 Café Birdie is an airy bistro in a classic 1920s building in the Highland Park neighborhood of Los Angeles. A three-course menu for $65 per person will be available on Valentine’s Day. 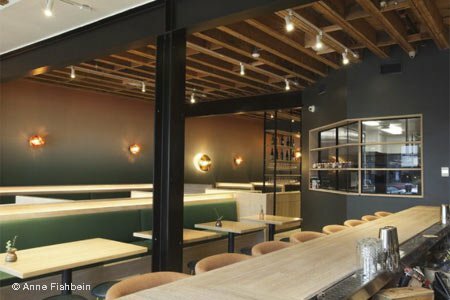 On Valentine’s Day, downtown LA’s Café Pinot will offer dishes such as marinated bay scallops, beef tenderloin and chocolate brioche pudding via a three-course ($70) and four-course ($85) prix-fixe menu. 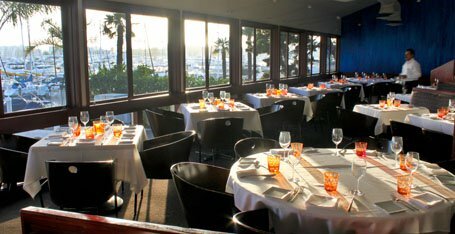 Cafe Del Rey boasts panoramic views of the Marina and its ballet of boats. Take in the vistas while enjoying a Valentine’s Day prix-fixe menu ($110 per person) and complimentary Champagne toast. 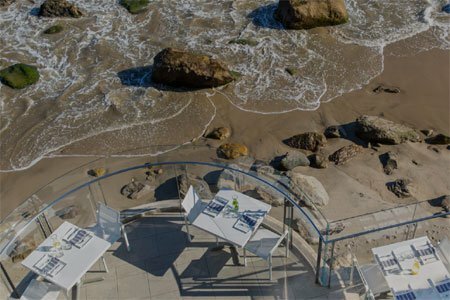 Perched right over the sand in Malibu, Carbon Beach Club restaurant at Malibu Beach Inn will present a prix-fixe menu ($75++ per person, $115++ per person with wine pairings) on Valentine’s Day. Feast on courses of pumpkin ravioli, pan-roasted ocean trout with smoked chili beurre blanc, and more. 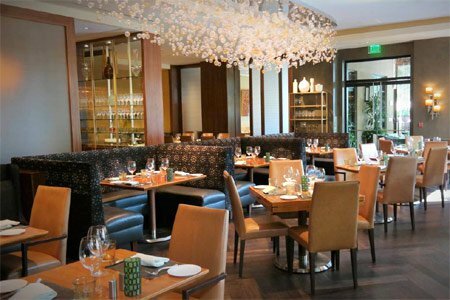 Sofitel Los Angeles at Beverly Hills’ Cattle & Claw restaurant will offer Valentine’s Day guests a multi-course prix-fixe menu ($75++ per person, 5 p.m.-10:30 p.m.). Expect to encounter tournedos Rossini and for dessert, cherry cheesecake, among other options. 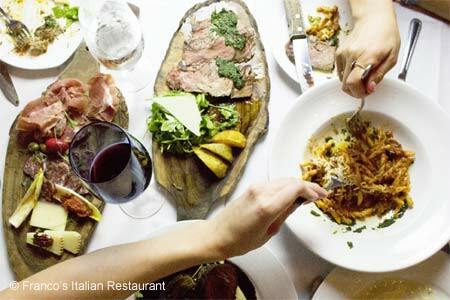 Pasadena’s South Lake Avenue shopping district is home to Celestino, which will offer its Italian cuisine via a four-course prix-fixe menu ($68 per person) on Valentine’s Day. Look for heart-shaped red beet raviolis with goat cheese sauce; and grilled sea bass filet on Peruvian mashed potatoes with celery and black truffle broth. The full dinner menu will be available as well. 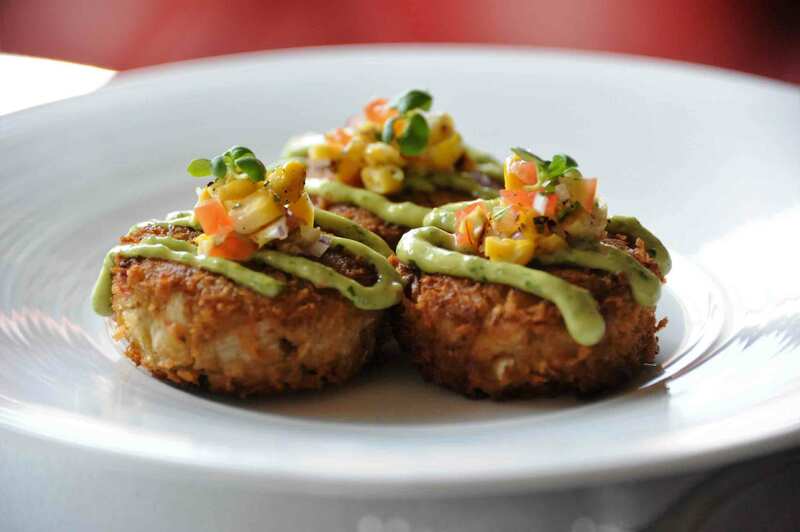 Enjoy a Valentine’s Day feast at Crossroads Kitchen, L.A.’s temple to upscale vegan dining, which will offer a five-course tasting menu ($75) on February 14 (a glass of Champagne is included). Available this Valentine’s Day through February 16th, Crustacean’s aphrodisiac-inspired specials include the Shot of Aphrodite with chilled watermelon consume; chilled oysters with yuzu and truffle ponzu; Eros Salad with pomegranate seeds, strawberries, kale, brussel sprouts, almonds, red onion and cauliflower crouton; and surf n’ turf featuring A5 Wagyu and Maine lobster. For dessert, indulge in The Forbidden Apple cake; a Bouquet of Strawberries with fresh strawberries, Grand Marnier and Chantilly; or Chef Helene’s Classic Banana A La Mode. 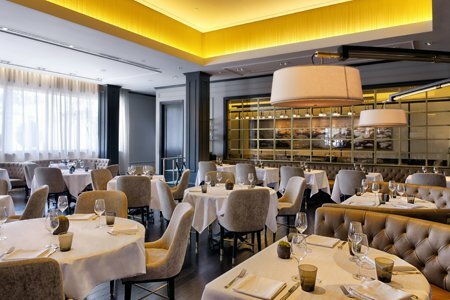 This chic spot offers an “enoteca” experience with a casual elegant atmosphere in the Four Seasons Hotel Los Angeles at Beverly Hills. 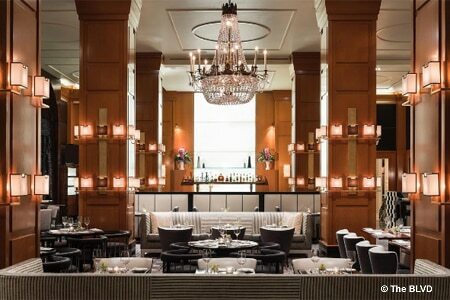 On Valentine’s Day, guests can enjoy a five-course prix-fixe menu ($125 per person). 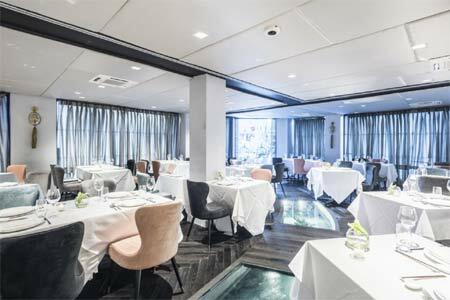 Choices will include tomato soup with ricotta agnolotti and taggiasca olive dust; black mussels and artichoke lasagna; and baked Dover sole filets. The full dinner menu will be available as well. 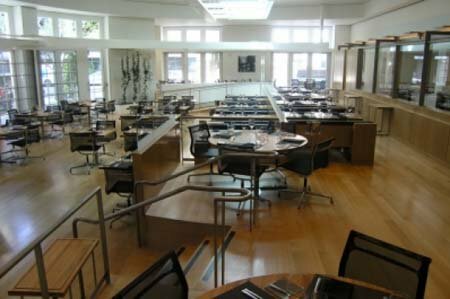 Three seatings will accommodate Valentine’s Day guests at Wolfgang Puck’s CUT at Beverly Wilshire, Beverly Hills (A Four Seasons Hotel). A special three-course menu ($195++) will be available. 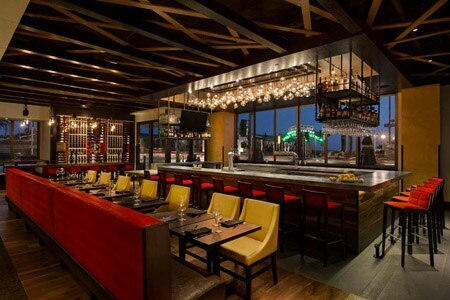 On Valentine’s Day at Del Frisco’s Grille in Santa Monica, indulge in broiled twin lobster tails with miso butter ($68) or the 45-day dry-aged Prime strip ($68), two signature creations offered on February 14. For a finale, choose from desserts such as molten chocolate cake with vanilla bean ice cream ($10.50) and caramel pot de crème ($9). 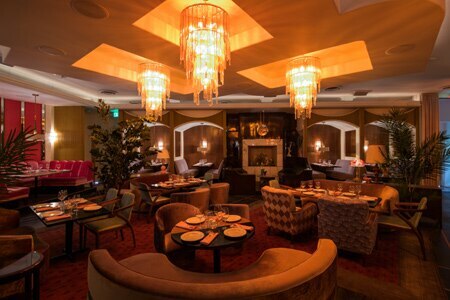 Undeniably one of the most beautiful spots in West Hollywood, Delilah has crafted a multi-course Valentine’s menu ($85 per person) listing the likes of Forbidden Salad, stuffed Cornish game hen with truffle jus, and carrot soufflé. 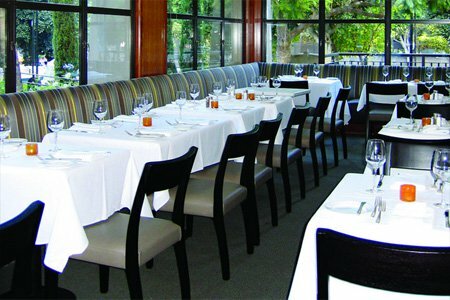 Experience the cuisine at this charming bistro in Marina del Rey on Valentine’s Day via a special four-course menu, presenting dishes like grilled lamb chops with mashed potatoes and roasted vegetables, and panna cotta complemented by mango sauce. A dessert tasting caps off the Valentine’s Day four-course prix-fixe dinner ($75 per person, wine pairing $35) at Fig & Olive in West Hollywood. Steak tartare and caramelized cauliflower risotto are among other dishes on the special menu. 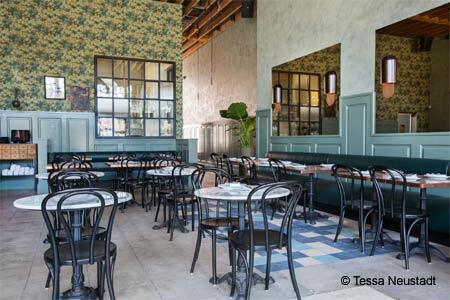 Head to chef/owner Franco de Dominicis’ relocated trattoria on Sunset Boulevard this Valentine’s Day and indulge in Italian cuisine for the holiday. 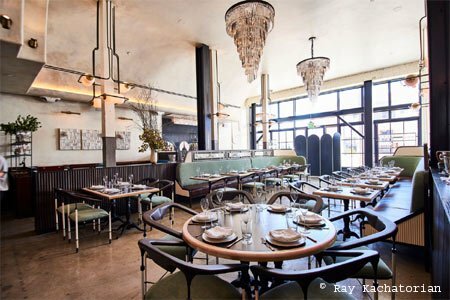 Redondo Beach’s Gabi James will offer its signature Cava & Caviar service along with seared scallops and cauliflower purée, among other temptations, for Valentine’s Day. On February 14, this high-end butcher shop and elegant steakhouse will offer a special five-course prix-fixe Valentine’s Day menu ($135 per person).